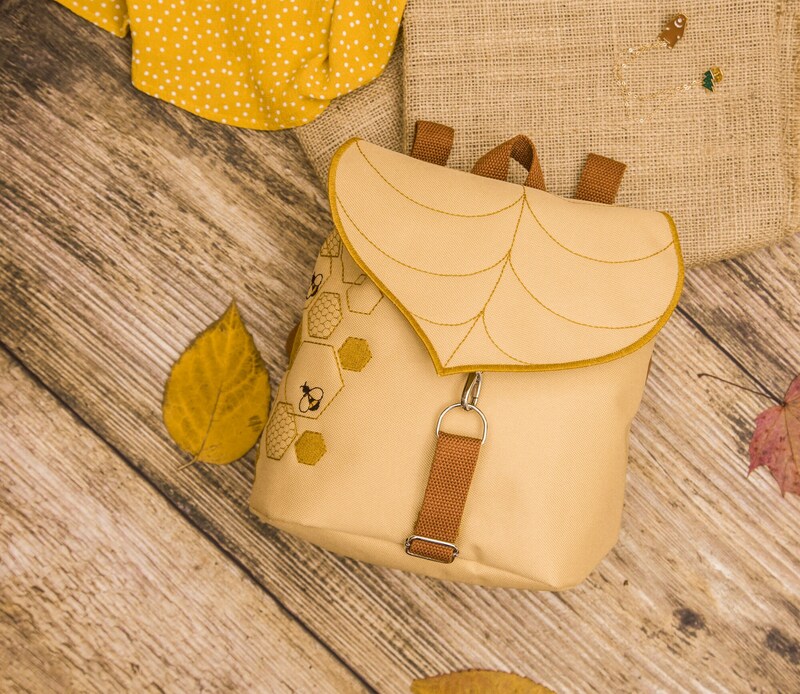 Tan Bee Hive embroidered mini backpack. • It’s a woven 100% polyester oxford fabric. • It’s finished with a durable water repellent. • Laminated with a thin PVC coating on the backfor water resistance. Beautiful bag! Just as I expected. Incredibly fast shipping. Beyond thrilled with the service and product!